In recent years, the damage to the coral caused by an outbreak of crown-of-thorns starfish, coral whitening and fin kicks from scuba diving and snorkeling have substantial damage. Both the villages of Tokashiki and Zamami put in place an overall plan for the promotion of eco-tourism in the Kerama area aimed at promoting proper use of the area and to promote efforts to preserve the coral reefs. 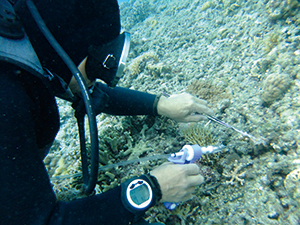 The scuba diving associations of each island independently conduct extermination and surveys of crown-of-thorns starfish with the aim of sustainable use of coral reefs. 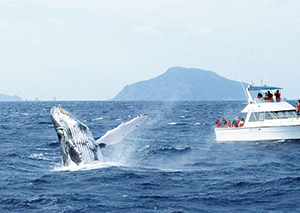 The Zamami Whale Watching Association put in place a policy for whale watching to protect humpback whale reproduction without hindering the whales, which are precious natural resources.